Derek Evans, second from the right, is helping to lead an effort to pass mental health legislation during the upcoming legislative session. Derek Evans, a senior at Sandy High School, stayed home the other day, purportedly with a cold. In reality, he was feeling anxiety stemming from a school shooting scare, the second in two weeks. But depression and anxiety aren’t considered legitimate excuses for an absence — and that’s something Evans and a student group he helped found are aiming to change at the state level. At the prompting of Students for a Healthy Oregon, the House Committee on Health Care will be sponsoring two mental health-oriented bills during the 2019 legislative session. One would requires every student in grades six through 12 to undergo a yearly mental health wellness check. The other would expand the reasons for excused absences to include mental or behavioral health. Evans said the seeds of the legislation were planted at the Oregon Association of Student Councils’ summer camp in July. 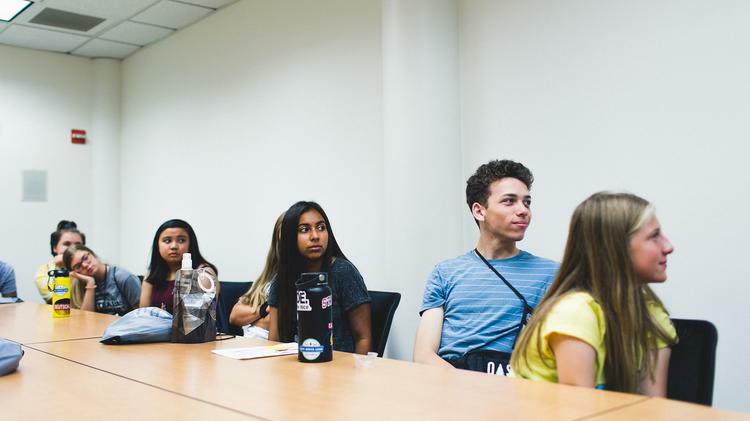 Out of that came the 25-member Students for a Healthy Oregon, which has received support and advice from representatives of Providence Health & Services and the Wellbeing Trust. Evans said the students want to remove the stigma from mental health. He expects to go to Salem to testify.